Pope is a bit of a publicity seeker. 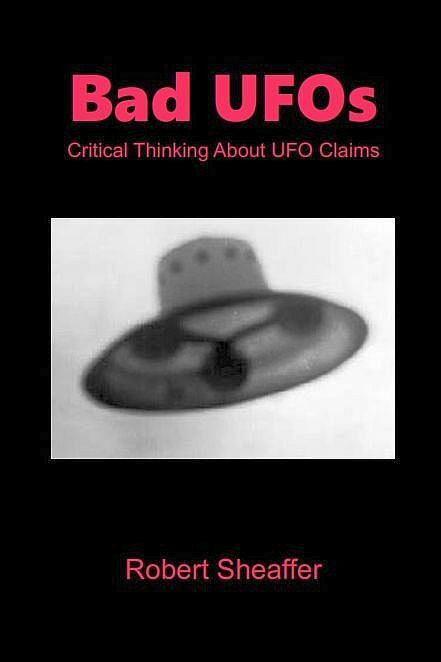 I suppose anyone who did some official MOD work on UFOs, however small, is entitled to plug this fact and thus gain recognition and publicity among the UFO fraternity, and to be in demand in the national media. As for a claim that such-and-such COULD happen, well so it could. By inserting the word 'could' you have neatly covered yourself against any failure of the event to happen. Let's face it: If I walk out of my house right now I COULD be struck by a meteorite. And if I did the Euro Lottery I COULD win £150 million. Pope has become the darling of the UFO media circuit. It happens here in the States, someone with the modest of governmental credentials eventually is seen as someone speaking from authority. Supposedly Pope has relocated to the US (So. Cal?). This should put to rest that the CIA and other intelligence services are attempting to debunk the UFO phenomena, ie, Robert Hastings' latest rant on TUFOC, since Pope apparently wasn't on the "No Fly List" of Homeland Security. Since the latest internet furore, the Examiner has reported that "...Nick plans on withdrawing from the limelight, so to speak. Presumably to spend more time with his new wife or possibly write another book." Oops, Dolan attended Oxford University, but he's American. I fixed that. And Mr. and Mrs. Pope have moved to Tucson, where he plans to lay low. Obviously he needs time to recover from the self-inflicted bullet wound in his foot. Nick Pope is at it again: "Britain has alien-war weapons, says former government adviser." Sadly Nick loves the publicity , but he was a spook with all that implies and he will,no doubt, promote misinformation and disinformation at any and all opportunity. Almost every UFO encounter since 1943 has been the result of one government project or another. The nonsense in Corso's book The Day After Roswell is a case in point. I take my hat off and bow to Nick Pope's ability to turn 3 little ol years as a clerk in the MOD as some sort of UFO authority. Makes as much sense as if the clerk that filed Blue Book reports surfaced as a UFO authority. Kudos to you Nick.